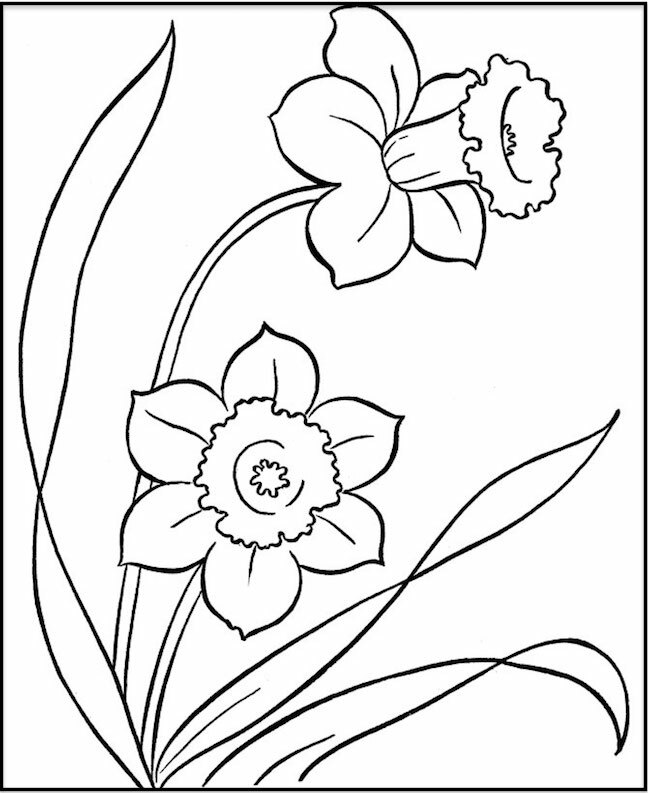 The Spring Flowers Coloring Page collection shown below represents the Top 10 spring flower coloring pages on the internet. 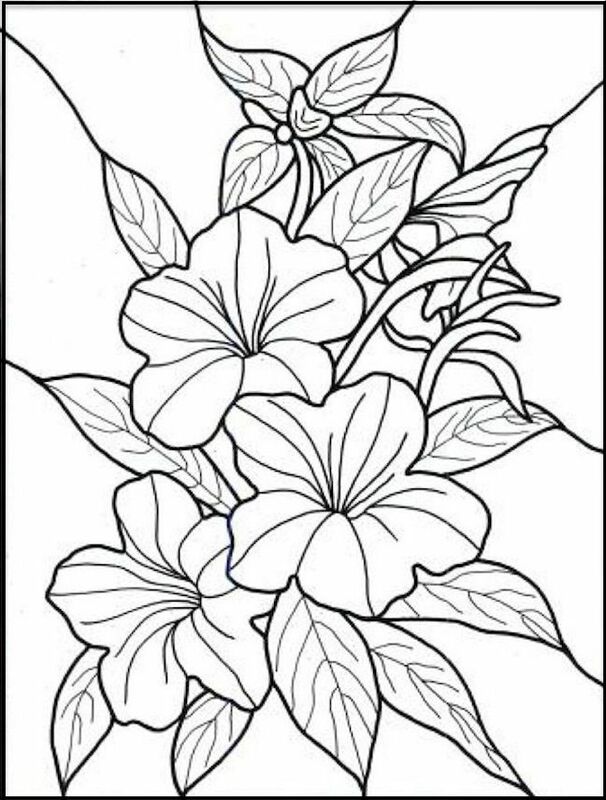 For more flower coloring pages and other coloring themes, visit the links shown below. 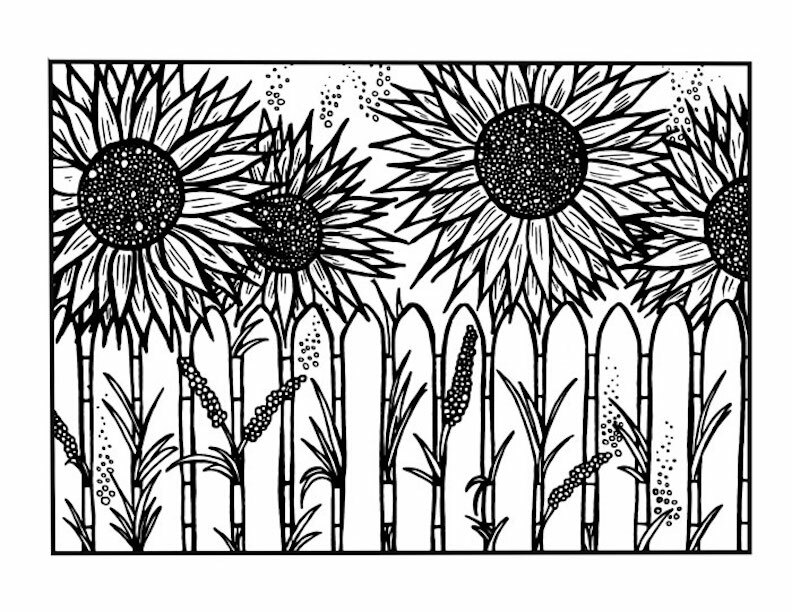 Above: An advanced coloring page featuring sunflowers. To print any of these pages, simply click the image and select a save option from your drop down menu. 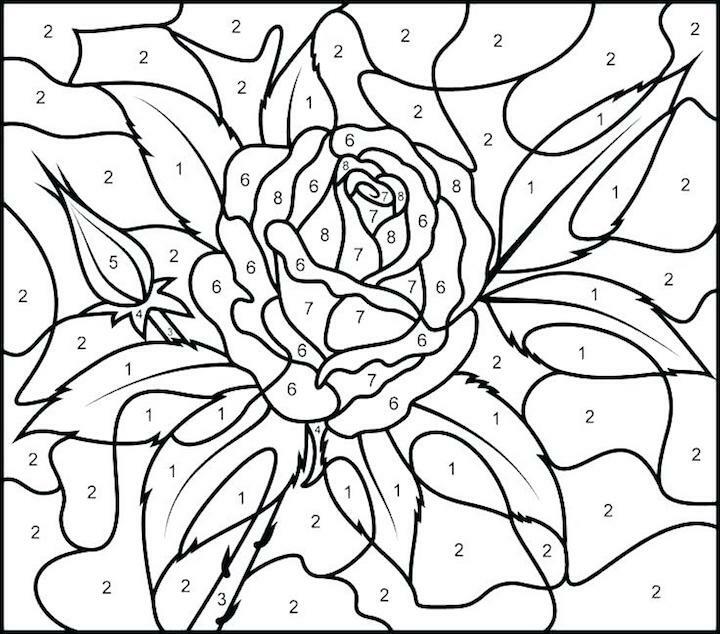 This page is for colorers of more advanced skill levels. 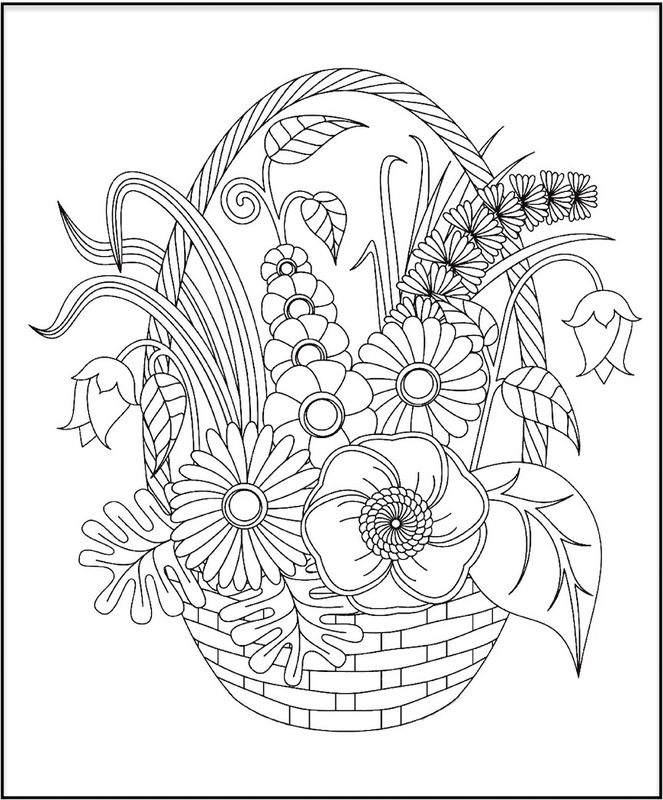 For an easier Spring Flowers Coloring Page collection, see the links below. 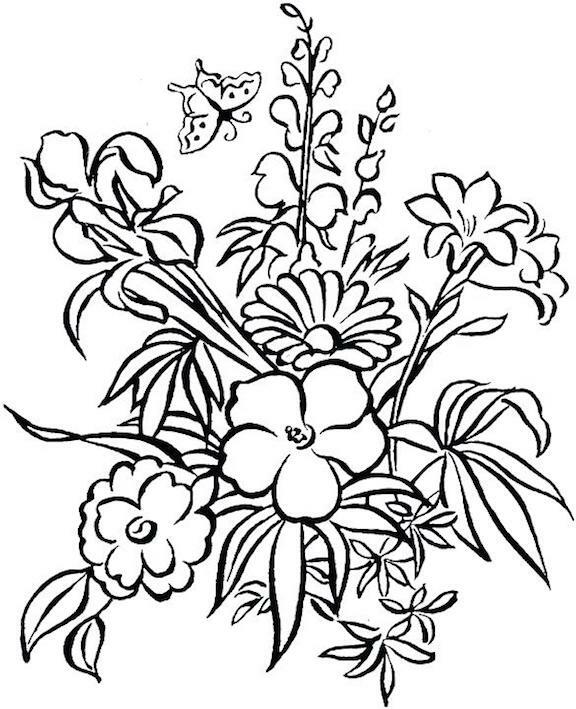 Above: This floral bouquet features a pretty butterfly. Above: A basket of pretty Spring flowers. 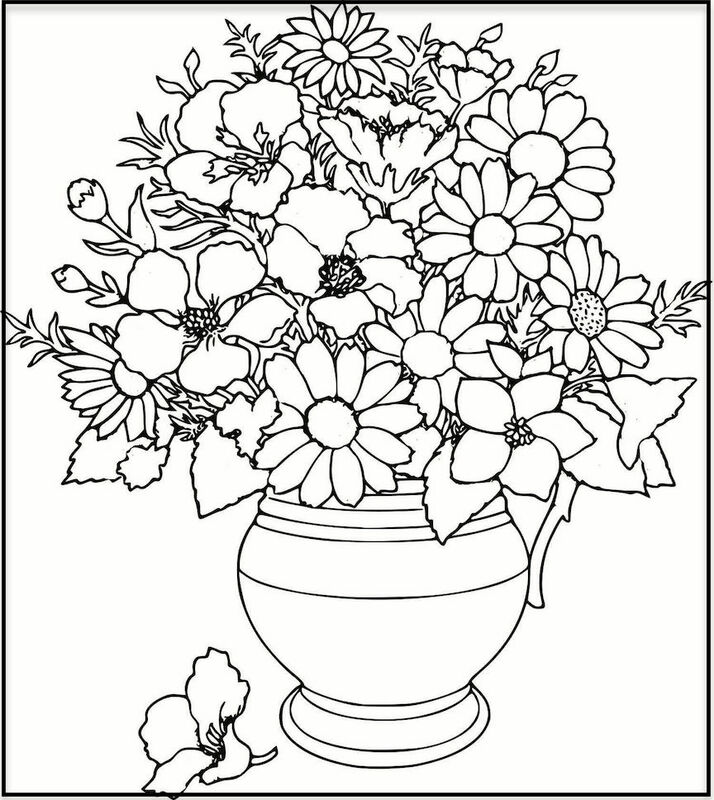 Above: A vase of fresh cut flowers from the garden. Above: A splash of morning glories. 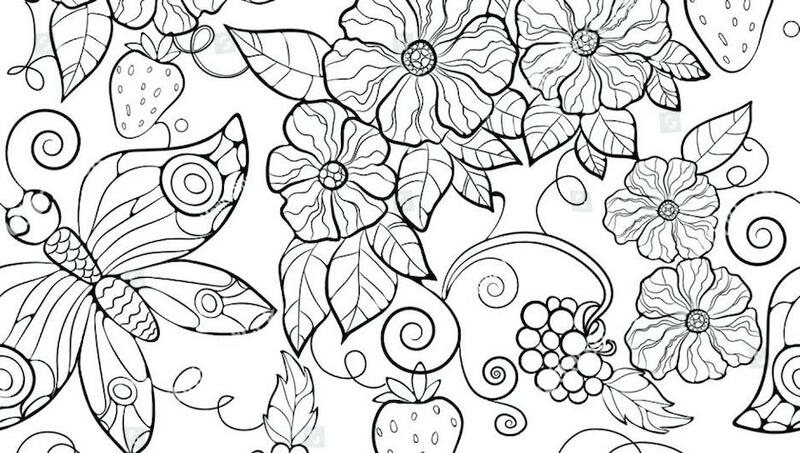 Above: Spring flowers and strawberries with butterfly. Above: A rabbit sniffs the Tulips.